Kimberly joined Terakeet in the Spring of 2014 to develop and lead the accounting and finance function at Terakeet. Her primary responsibilities include managing company financial accounting and reporting, inclusive of audit and tax compliance. She is also responsible for forecasting and budgeting, and profitability analysis. Prior to joining Terakeet, Kimberly worked as a Senior Audit Associate at Dermody, Burke & Brown CPA’s LLC, where she also became a licensed Certified Public Accountant. She developed a strong understanding of accounting and auditing standards and applied her knowledge of GAAP, unique and specialized accounting principles to a variety of clientele. Thanks to her dad’s military career, Kimberly moved around a lot prior to her family settling in Syracuse while she was in elementary school. A very active upbringing involved a lot of sports, revolving mainly around soccer and lacrosse. Eventually recruited to play Division 1 Lacrosse, Kimberly attended St. Bonaventure University. 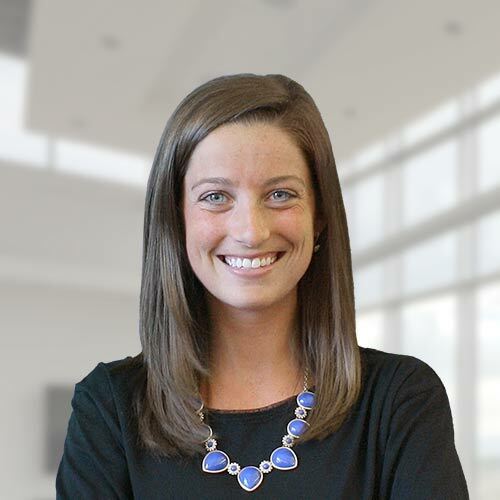 She graduated with her Bachelors of Business Administration in Accounting, before moving to Pittsburgh to attend (rival A-10) Duquesne University, where she received her Masters in Accountancy with a concentration in forensic accounting. Missing Syracuse, she moved back to the area to work in public accounting and obtain her CPA license. Kimberly and her husband spend most of their personal time and attention on their two young daughters and love every minute of it.